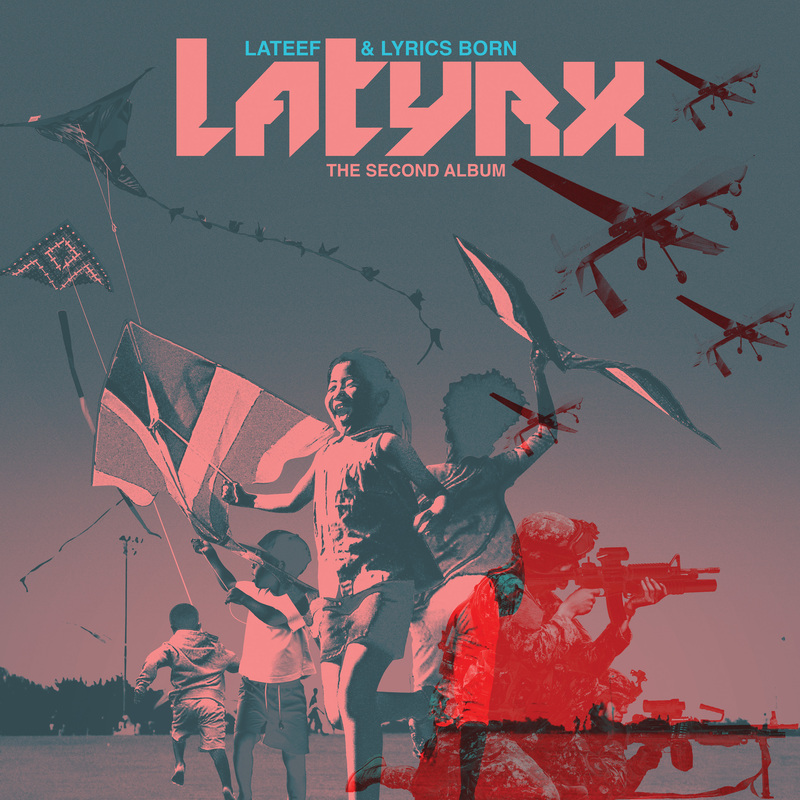 Lyrics Born and Lateef the Truthspeaker, the two halves of the groundbreaking, longstanding alternative hip hop duo Latyrx, are gearing up to release the latest single from their forthcoming album, The Second Album, on November 5th. The latest leak from that project is the pro-individuality anthem, “Close Your Eyes” featuring a verse by Busdriver and production from Antonionian. Lyrics Born and Lateef the Truth Speaker of the Latyrx helped co-found the historic Solesides collective of the 90’s, which includes DJ Shadow and members of Blackalicious. When the two joined forces as Latyrx, they released their 1997 joint debut, titled The Album. It earned rave reviews for its adventurous production, eclectic style, and the rappers’ distinctive flows. The Album became a west coast indie rap classic and has been described as an unprecedented masterpiece. Shortly after, they released the Muzzaper’s Mixes EP which featured the momentous single “Lady Don’t Tek No,“ credited as perhaps the only pro-female club banger in rap history. Over the past sixteen years, Lyrics Born and Lateef have been working on their respective solo careers writing books, touring the globe, releasing solo projects, appearing on countless artists’ albums, and even earning a Grammy Award nomination. Now a decade and a half past their first full-length, the pair are finally releasing the anticipated follow-up, The Second Album. The long-awaited second full-length project, The Second Album, will be released on their own Latyramid label on November 5th. The release features members of tUnE-yArDs, Anticon, Living Colour, The Decemberists, Blackalicious and more. Catch Latyrx on the first leg of their tour with rap duo Skins & Needles, beginning October 25th in Denver, Colorado and hitting stops in Salt Lake City, Sacramento, Portland, Seattle and more. The second half of the tour will continue in early 2014. Check out Latyrx’s Kickstarter campaign below to help support their tour. Please contact Michelle or Dan if interested in talking with members of Latyrx. Latyrx is the alternative hip-hop duo of rappers/producers Lyrics Born and Lateef the Truth Speaker. Rooted in the Bay Area Solesides collective of the 1990s, which also included DJ Shadow and future members of Blackalicious, the duo released their seminal The Album in 1997 to critical acclaim. They quickly followed up with the Muzapper’s Mixes EP in 1998, which produced the notable, boundary-pushing and feminist-affirming track “Lady Don’t Tek No.” Both went on to numerous solo projects and collaborations with other artists before reuniting to work on their long-awaited follow up, The Second Album, which is due out November 5th.